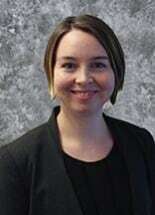 Allison A. Curley joined McLellan Herbert in 2017 as an Articled Student after graduating from the Juris Doctor program at Thompson Rivers University. Before joining McLellan Herbert, Allison was a Legal Research Student with the British Columbia Law Institute and the Canadian Centre for Elder Law in 2017, and the Law Foundation of British Columbia in 2016. During law school, Allison volunteered as a Student Clinician with Thompson Rivers University's Community Legal Clinic. Allison also volunteered as an Editor with the Canadian Journal on Comparative and Contemporary Law. Before attending law school, Allison obtained her Bachelor of Social Work from the University of Calgary. Allison will serve as a Member-at­ Large for the Canadian Bar Association's National Elder Law Section for the 2018/2019 year.